Predicting the future is a popular means to finish a review of past accomplishments. Often, these forecasts rely heavily on current trends in technology to safely guess advances and efficiencies. An example of one such prediction is in the 1955-1957 Biennial Report of the Department of Continuation Medical Education. Formalized in 1937, the Department of Continuation Medical Education, formerly known as Postgraduate Medical Education and today named the Office of Continuing Medical Education, enjoyed a major boost to its programming in 1945 through a nine year, $250,000 grant by the Kellogg Foundation to increase opportunities for participation in its teaching programs. Although review courses for practicing physicians were part of the Medical School’s curriculum for decades, the department provided a permanent home for the “interdepartmental” education program. 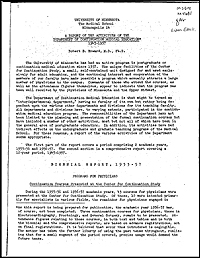 Read the 1955-1957 Biennial Report below. 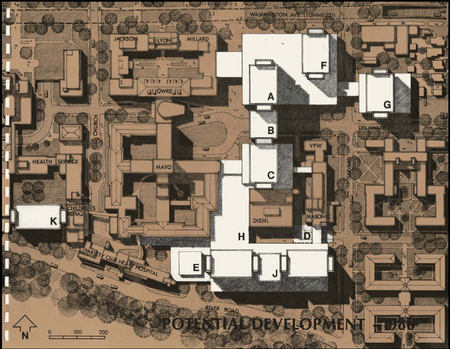 The report also includes an overview of the department beginning with the 1945 Kellogg grant through current programs.